This article reviews the new book Islamic Science and the Making of the European Renaissance by George Saliba. The book describes the rise and fall of the Islamic scientific tradition, and the relationship of Islamic science to European science during the Renaissance. This new book by George Saliba describes the rise and fall of the Islamic scientific tradition, and the relationship of Islamic science to European science during the Renaissance. The author outlines the conventional accounts of Islamic science, then discusses their shortcomings and proposes an alternate narrative. Using astronomy as a template for understanding the progress of science in Islamic civilization, Saliba demonstrates the originality of Islamic scientific thought. He details the innovations (including new mathematical tools) made by the Islamic astronomers from the thirteenth to sixteenth centuries, and offers evidence that Copernicus could have known of and drawn on their work. Rather than viewing the rise and fall of Islamic science from the often-narrated perspectives of politics and religion, Saliba focuses on the scientific production itself and the complex social, economic, and intellectual conditions that made it possible. "George Saliba has for more than thirty years written some of the most original and advanced studies of the sciences in Arabic. 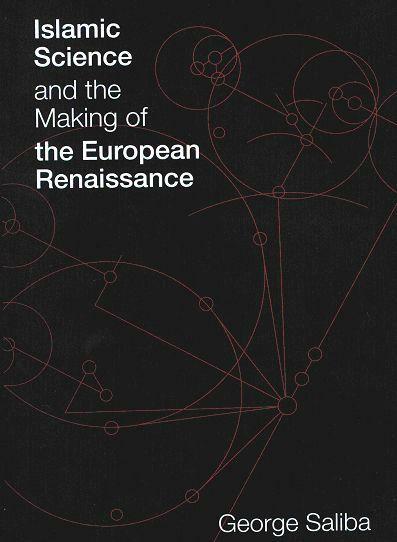 In this remarkable book, which he calls a historiographic essay, he addresses the question of the origin of Islamic science, using accounts of early Islamic scholars to show the essential roles of government bureaucracies; the great enlargement of Greek science, particularly astronomy, in the Islamic world; and new evidence for the paths of transmission of Arabic science to Europe, shown most clearly in the work of Copernicus. Finally, Saliba considers the so-called decline of Arabic science, showing that well into the fifteenth and even sixteenth centuries there was no decline, but rather that the sciences of Europe left behind the more traditional sciences, not only of Islamic civilization, but of the entire world. This is an essential book for understanding the place of science in the world of Islam and its fundamental importance to the development of modern science in the Western world." --N. M. Swerdlow, Department of Astronomy and Astrophysics, The University of Chicago. "Saliba's book is essential reading for those who wish to understand the remarkable phenomenon of the 'rise' and 'fall' of the Islamic scientific tradition. His analysis takes place against the backdrop of the broader question of what produces scientific activity in a society, what sustains it and enables it to flourish. Saliba's singular achievement derives as much from the stimulating questions he raises as from his provocative answers. His iconoclastic views will fuel scholarly debates for decades to come." --Gül A. Russell, Department of Humanities in Medicine, Texas A&M University. George Saliba is Professor of Arabic and Islamic Studies in the Department of Middle East and Asian Studies at Columbia University. He received a master's degree in Semitic languages and a doctorate in Islamic sciences from the University of California at Berkeley. Saliba has been a professor at Columbia since 1979. He is the author or editor of several books in Arabic and English. Saliba, George 1994. A History of Arabic Astronomy: Planetary Theories During the Golden Age of Islam. New York/London: New York University Press. ––– 1998. Al-fikr al-'ilmî al-'arabî: nash'atuhu wa tatawwuruhu (The scientific Arabic thought: its genesis and its development) [in Arabic]. Balamand (Northern Lebanon): Balamand University, Center of Christian and Islamic Studies. ––– 1999. Rethinking the Roots of Modern Science: Arabic Manuscripts in European Libraries. Washington: Center for Contemporary Arab Studies, Georgetown University. ––– Online version : "Whose Science is Arabic Science in Renaissance Europe?"